For any business, regardless of industry, integrating themes from relevant holidays into your marketing efforts provides a unique opportunity to reach your target audience in a creative way - ideally generating sales as a result. 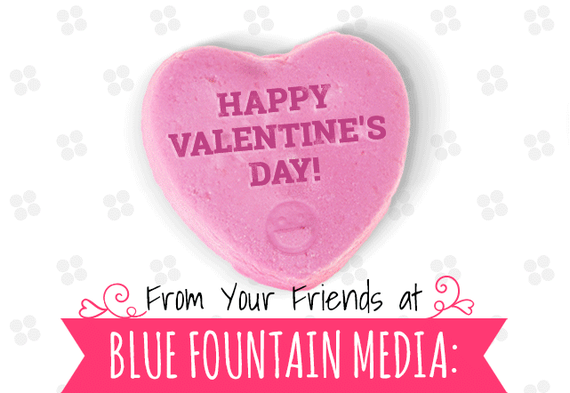 With Valentine's Day rapidly approaching, you can really stand out among the competition and engage with your audience differently than other businesses and their normal, day-to-day marketing strategy. Even if you don't sell jewelry or flowers, you can still use effective marketing tactics to leverage success from this widely celebrated holiday. With any holiday-related campaign, there are three core ways that you can approach your audience - social media, email marketing, or a microsite designed for your campaign. All three campaign channels should have consistent messaging but be specific to the nature of each, and can be used in tandem with one another or on their own to get your business measurable results. An excellent social presence is imperative to the growth of your brand. With more and more users active across all platforms of social media, any holiday provides you with another chance to provide incredible value to your audience, in a creative, fun way. As you begin planning your social campaign, the overarching focus should be to optimize all of your social media profiles for Valentine's Day in whatever ways you can. Imagery is one of the most important aspects to get right--and is also one of the most effective ways to optimize your profiles for Valentine's Day. For example, Facebook is an obvious choice for a lot of brands when it comes to a social campaign. You can change your cover photo to a themed image that also reflects your year-long branding, and use image-based posts to engage users. Posts on Facebook cannot be more than 20% text, which makes sense. Visuals should be the main component of your post. The messaging on your social platforms must have strong calls-to-action, or your campaign won't be effective. That being said, it should be done tastefully. Whatever action you want the user to take, it must be clear and identifiable, but not cost your brand's integrity in the process. Typically, in social campaigns you want users to share your posts so that it reaches a wider audience, however users won't share content that they don't enjoy. You need to think about what would interest your target audience, and give them good reason to share content. For Valentine's Day, a prize giveaway is a relatively simply way to encourage social interaction if you're a B2C. If you're a B2B you may want to offer exclusive discount pricing for the holiday and promote it through social. It's proven that content most frequently shared utilizes humor or statistics to engage users. Think about that concept and find a way that you can relate it back to your brand while still maintaining the Valentine's Day spirit. It could be a funny joke about the holiday, or even a statistic about how many people really don't enjoy the holiday. If you try to get in the mindset of your audience, you'll have a better understanding as to what kind of content they would want to see on their news feed, and in return what type of content they would most likely share. Email marketing campaigns are a proven way to foster engagement with your audience because of the ability to creatively target users in their inbox - according to eMarketer, 36% of US internet users check their email at least a few times a day. This kind of campaign also provides concrete insights as to what was effective or ineffective with your audience because you can easily monitor open rates, click through rates, and how they behave once they are onsite. Based on findings at the end of one campaign, you may decide to change a certain layout, design element or messaging. For a Valentine's Day email, your general layout should be original with some sort of interactive elements built in. Whether you want to embed games, animations, or personalize the message for your users, you need to have something creative that will spark interest. 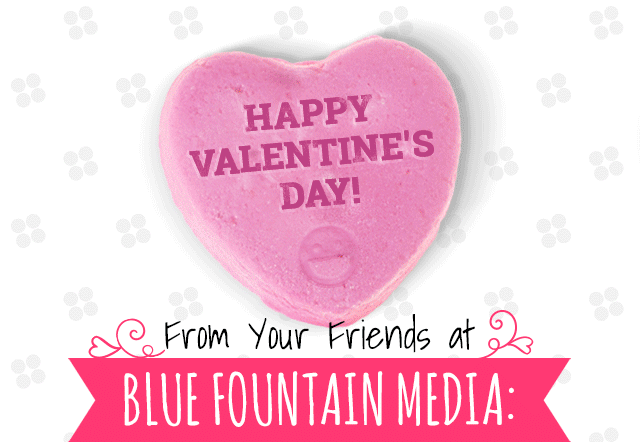 For our Valentine's Day campaign, we're using candy hearts and Valentine's Day branding while still including our standard logo and navigation elements to catch attention while still creating something unique. You also need to think about where your call-to-action button will fit in with your email layout--it is undoubtedly one of the most important aspects of an email campaign. The CTAs should be bold and stand out in the email so that users can find the buttons without hesitation. Additionally, they should be visually attractive while still fitting in with the overall branding and theme of your email. You don't want a CTA that is the complete opposite of typical design elements. The timing of your emails is critical to the success of the campaign. You should always consider when your typical distribution is for your regularly scheduled emails so that you aren't bombarding users from the same list with a Valentine's Day email a few minutes after they received another email about a new product. Different from the typical holiday season in December, you don't have to send out emails months before Valentine's Day. You can send it out a few days before the holiday, but not so far in advance that it loses its value. If you are a B2C, encourage users to make a purchase with free shipping, and display delivery deadlines for when orders should be placed to ensure arrival by Valentine's Day. If you are B2B and using your campaign to continue fostering relationships with clients, the best option is to send out the email that day. To further reinforce the campaign message, developing a separate landing page or microsite to take users to is an effective approach at boosting engagement and business growth. A separate microsite gives you the freedom to really showcase some creativity and craft content that is fitting with your brand, but also specifically geared towards Valentine's Day. Your landing page for a particular campaign should be connected to your other campaign channels. After seeing a post on social, or in their inbox, users should be able to seamlessly switch over to the landing page by clicking a button. Having all aspects of the campaign mirrored off one another, and integrated will help to strengthen your overall message as users switch from one platform to the next. Your social media campaign and email marketing campaign should be responsible for capturing the interest of your users, and then directing them to your microsite for additional value that you have to offer. When users visit your micro-site or landing page, it should have the same messaging that they initially saw, providing confidence that users are on the correct page, and can tell there is a noticeable, consistent brand presence. This separate site is your opportunity to really amplify any design elements that you want to be related to Valentine's Day. Whatever your products or services may be, they need to have a special twist for the holiday and be really "dressed up." In terms of SEO value, a holiday page can offer a lot for your brand. Timely events always draw impressive amounts of organic traffic because the holiday is on people's minds and they are actively searching for it. Long term, year after year, if you have a good campaign, when the holiday rolls around again, it will continue to rank well when people search for the subject, and the page will help generate leads as long as you consistently are updating it. Overall the most important concept to understand is that using a combination of all three approaches creatively, and planning in advance is going to contribute heavily to your success. Building a consistent presence through all of your platforms will further your campaign's effectiveness and will build credibility for your brand in the eyes of your target audience. Additionally, using an analytics program to track and monitor where traffic is coming from as a result of your campaign efforts is critical to measuring your success. You want to be able to determine where your traffic came from--otherwise you won't be able to gauge what you should enhance for future campaigns. You can easily define which words or images were most effective and provided the best conversion rates, and use that as a guiding factor will help you build future campaigns.